Spam protection: What is three times three?44? Gray checkered slim fit shirt with brown elements. Modern cut shirt style slim fit with darts on the back. This shirt is suitable for men of a higher type or sports figures. It has two darts at the back, thanks to which emphasizes your shirt siluletu. Wide collar can be well combined with a tie. 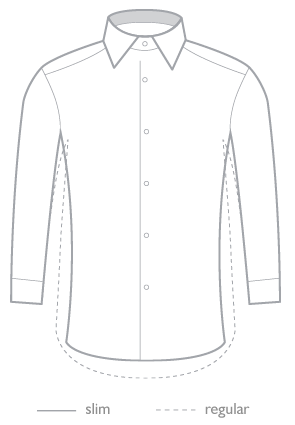 Long sleeves finished with cuffs and button fastening.